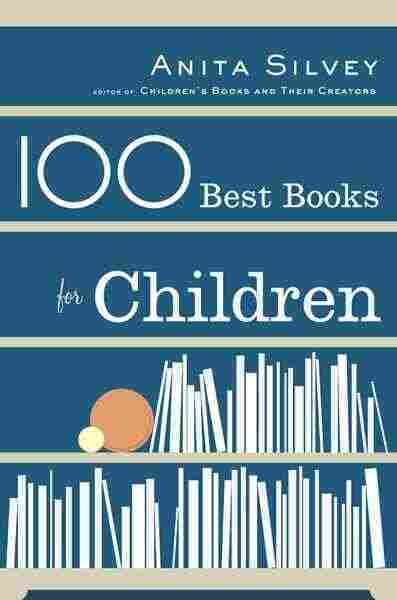 100 Best Books for Children NPR coverage of 100 Best Books for Children by Anita Silvey. News, author interviews, critics' picks and more. Upon awakening early one morning in 1945, Margaret Wise Brown wrote down the entire text of Goodnight Moon in almost ﬁnal form, and called it Goodnight Room.” That morning Brown, or Brownie” as she was known, telephoned her editor, the legendary Ursula Nordstrom, to read her the text, which Nordstrom accepted immediately for publication. In those days, editorial taste rather than publishing committees determined the fate of geniuses. Margaret Wise Brown, who would write more than a hundred books for children in her short career, claimed that she dreamt her stories, and Goodnight Moon appears to be a case in point. However, Brown’s creative dreaming followed years of intense training. A student at Bank Street College’s School of Education, Brown began to explore writing books that incorporated the revolutionary ideas of Lucy Sprague Mitchell, the visionary founder of Bank Street. Both Brown and Mitchell believed that books should expose young children to the here and now” world of their own home surroundings. Children need to hear about and see all the things that they feel comfortable with in their own world. So in Goodnight Moon, the mother and child say good night to all the familiar objects around them. Everything present in the great green room is part of a child’s real world and reﬂects Brown’s here and now” philosophy. After the telephone call, Nordstrom began searching for an appropriate artist for the text, but Brown insisted she wanted no one other than Clement Hurd. Goodnight Moon demonstrates how great books are made, and almost unmade, by seconds and inches. For his original sketches for the book, Hurd drew his protagonists as a human grandmother and a young boy. This version went through several proof stages, but eventually Margaret Wise Brown and Ursula Nordstrom insisted that the characters be bunnies. Hurd relented; as the illustrator of The Runaway Bunny (also by Brown), he could draw rabbits like an angel. In fact, those close to him often said he looked like a rabbit. Hence, the resulting book, rather than being tied to a human environment, achieved an otherworldly, timeless dimension. Hurd also accepted Brown’s and Nordstrom’s criticism of the cow in his original picture. He altered it anatomically so that no one would object to the udders. And on Nordstrom’s suggestion, he replaced a map with a bookcase because she wanted to promote the idea of children having books in their rooms. However, Hurd worked out many innovative concepts that remained in the ﬁnal art. Half-page black-and-white illustrations display all the objects in the room; but Hurd used only one piece of color art for the main scene of the book. That art was simply darkened, by degrees, by the printer. As the story moves forward  Goodnight bears / Goodnight chairs / . . . Goodnight mush / And goodnight to the old lady whispering hush’”  the child and parent keep going back to exactly the same room, but each time a little more light has been removed. Goodnight Moon met immediately with the kind of criticism that all too frequently welcomes our great books. A Harper sales representative wrote, Frankly I’m having a tough time with [Goodnight Moon]. . . . As soon as [most buyers] see the size of it for $2.00 they throw it at me. They like the color, story, and idea, but will not touch it at that price. . . . I don’t think we’ll even sniff the quota. At $1.00 it would really move.” But the book was not reduced to $1.00, and it did not really move for another twenty years or so. Goodnight Moon remained a quiet book; not until the 1970s did it gain a signiﬁcant audience. Although some critics dismissed the book as overly sentimental when it appeared, future generations have grown to appreciate the crisp language, clear geometric forms, and bright, bold colors. Children as young as eight months can appreciate the appearance of familiar objects in the art  such as the moon, the ﬁre, and the mouse. A timeless book, almost like a child’s evening prayers, Goodnight Moon has lulled millions of children around the world to sleep. After graduating from Central School of Arts and Crafts in London, John Burningham began searching for work as an artist. Because no one would hire him, he tried developing a children’s book. Fortunnately for both Burningham and for children, that ﬁrst book, Borka: The Adventures of a Goose with No Feathers, won Britain’s prestigious Kate Greenaway Medal, given too the best picture book of tttthe year. Seven years later, Burningham produced another book that won the Greenaway Medal. In Mr. Gumpy’s Outing, the hero, who lives on a river, ﬁrst appears wearing a hat and huge boots. Mr. Gumpy travels along in a boat, picking up animals and children who promise to make no trouble. But, of course, they cannot avoid breaking their promises, and the whole crew ends up in the river before going to a sumptuous high tea. Wonderful to read aloud, the book can be, and often is, acted out by a group of children. The predictability of the story sequence  Will you take me with you?’ said the dog. Yes,’ said Mr. Gumpy. But don’t tease the cat.’ / May I come please, Mr. Gumpy?’ said the pig. Very well, but don’t muck about.’”  encourages children to join in; it also gives them conﬁdence as they begin to read for themselves. Burningham deftly balances brown pen sketches, quite free and expressive, with brilliant full-color art. He deliberately gives the drawings an unﬁnished look  so the child can have maximum freedom to imagine events. Although Burningham had an opportunity to extend Mr.
Gumpy’s adventures further, which he did in Mr. Gumpy’s Motor Car, he deliberately avoided creating a series. Fond of his characters, he is still more interested in a new project than in repeating something he knows. John Burningham believes that really great children’s books contain as much for adults as for children.” Certainly, parents and teachers have enjoyed this watery outing every bit as much as children. And at the end, when Mr. Gumpy says, Come for a ride another day,” the child and adult reader will probably do so  many, many times. Mr. Gumpy’s Outing reminds us that readers of all ages can be charmed by simple things. A young graphic designer, Eric Carle had been tinkering with the germ of an idea for a book called A Week with Willi Worm. He wanted to use a unique book design, with holes cut into the pages, to show the progress of a very hungry worm working his way through all kinds of foods until it grows fat. But his editor Ann Beneduce was less than enthusiastic about a green worm as a protagonist and believed that Carle should use a more sympathetic character. When she suggested a caterpillar, Carle answered simply, Butterﬂy.” With these new elements, Eric Carle completed The Very Hungry Caterpillar, a book that has become popular all over the world. In the story a winsome caterpillar eats a variety of foods until he ﬁnally turns into a butterﬂy. While showing a simple story of transformation, the book presents very young children with such concepts as counting, days of the week, and the life cycle of a butterﬂy, in bold, graphic art. Carle made his debut as a children’s book illustrator in a school textbook story, written by Bill Martin, called Brown Bear, Brown Bear, What Do You See? Later reissued for bookstores, the title has enchanted millions of children with its simple rhythm, rhymes, and brilliant art. For The Very Hungry Caterpillar, Carle played with the form of the book and developed pages of different shapes and widths  an experiment inﬂuenced by the books he read as a child in Germany. Although no printer in the United States could be found to manufacture economically a book with so many die cuts, Beneduce located a printer in Japan who was able to produce the book. Since that time, The Very Hungry Caterpillar has sold a copy a minute somewhere in the world, more than 20 million altogether. Over the years Carle has gone back to reillustrate many of his popular volumes, including The Very Hungry Caterpillar, aiming to get a wider variety of colors and a cleaner design. In his studio, he spatters colored tissue papers with paint to create special textures and effects. After cutting the papers into the desired shapes, he then pastes them in layers on cardboard. Sometimes he uses crayons or ink to make the ﬁnal touches. Carle works and reworks each piece, aiming both for scientiﬁc accuracy and for visual excitement. In November 2002, Eric Carle, his wife, Barbara, friends, and colleagues opened the Eric Carle Museum of Picture Book Art. Tucked in the hills of western Massachusetts, at Amherst, the museum has quickly become a travel destination for families and school groups who want to look at Carle’s original collages as well as rotating exhibits of other artists’ work. After presenting children with one popular book after another, Eric Carle gave all of the children of the United States and the world another unique gift  our ﬁrst permanent American museum to house original picturebook art. Copyright © 2004 by Anita Silvey. Reprinted by permission of Houghton Mifflin Company.